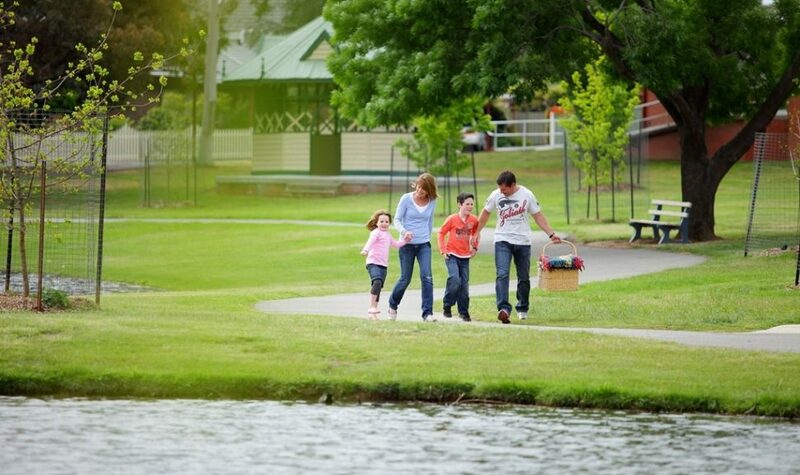 Cato Park is situated in the heart of Stawell and provides visitors and the community with a beautiful recreational area. The park surrounds idyllic Cato Lake and with barbecues, tables & seating, shelter, a playground and walking trails which weave in and around the park, it is the place to go for a relaxing time, all year round. The beautiful grass surrounds provide the perfect location for families to unwind. Facilities include: Playground, Picnic facilities, BBQ facilities, Toilets, Picnic shelter, Walking track, Drinking fountain.